With your support, hundreds of HCA’s patients and their families can enjoy more good days as they embrace the last lap of their journey. In conjunction with our 30th Anniversary, HCA Hospice Care is launching the Adopt A Dandelion Fundraising Campaign. 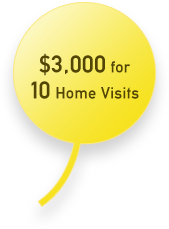 Our goal is to raise $900,000 by December 31st 2019 to fund 10 home visits for 300 patients with life limiting illnesses. who passed on peacefully in July 2018. “With my pain managed, I was able to do things that were important to me, like spending an hour or two before bedtime, chatting with my husband,” Jane said. 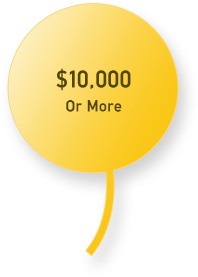 For donations of $900 to less than $3,000, donor’s name will be displayed on HCA’s Adopt A Dandelion webpage. For donations of $3,000 and more, donor’s name will be displayed on the Adopt A Dandelion Donor Wall at HCA HQ and the HCA Adopt A Dandelion webpage.